The Sage of Tampa Bay sports is having lots of fun today, barking on many Bucs happenings, subjects and a whole lot more. 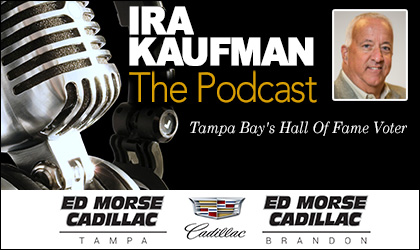 Enjoy the twice-weekly Ira Kaufman Podcast fun presented by Ed Morse Cadillac Tampa and Ed Morse Cadillac Brandon. wonder why I’m in purgatory?